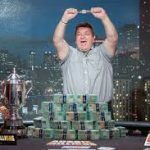 The World Championship of Online Poker Super High Roller event was billed as the most expensive tournament in the history of Internet poker, and it drew a field worthy of such a distinction. In the end, the tournament produced a very worthy winner, even if it wasn’t one that many fans of live poker are familiar with. Ben Tollerene, who plays on PokerStars under the name “Ben86,” won the $51,000 buy-in WCOOP Super High Roller, taking home the top prize of $616,518.34. Tollerene’s prize was smaller than it could have been, as the final three players agreed to a deal that ended up paying each of them more than a half-million dollars. When the tournament began, it was unclear how many players would take part. While pretty much everyone expected that the event would easily meet its $1 million guarantee, which only required 20 players to show up, how many more would participate was an open question. When registration finally closed after several hours of play, the field was set at 46 entries, a very respectable number for a first-of-its-kind online high roller. Just as impressive were the names in the field: among those participating were Daniel Colman, Daniel Negreanu, Ike Haxton, Jason Mercier, Dan Smith, Ole Schemion, Mike McDonald and several other notables, making this a field that would have been more than respectable at a live high-roller contest. 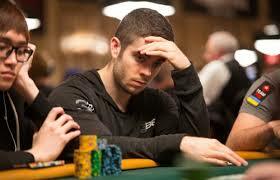 At the end of the first day of play, the field had been reduced to a final table of eight. 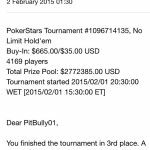 But that still left plenty of drama for Day 2, particularly since only six of those players would cash. Heading into the second day, it was Mike McDonald, known online as “Timex,” who held a slight chip lead over Jose Angel Latorre and David Peters. The tournament featured a huge bubble, as Peters received nothing for finishing seventh, and Austria’s Fedor Holz made $126,500 for his sixth place finish. 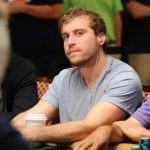 McDonald would go out in 5th for $172,500, and the Russian player known as “Nopaleva” took fourth place, earning $230,000. That left Tollerene, Latorre and Nikita Bodyakovskiy to fight for the first WCOOP Super High Roller title. Given the amount of money in play, it was no surprise to see the three agree to a deal. The players were amenable to an ICM distribution of the remaining money, though PokerStars required $20,000 be left in play for the winner. At the time of the deal, Bodyakovskiy was nearly the co-leader with Tollerene, but his fortunes slipped in the hands that followed. After his pocket sixes fell to Latorre’s AJ suited, he was knocked out in third place, making $594,069.53 thanks to the deal. Heads-up play started rather deep stacked, but only lasted 10 minutes. After Latorre drew almost even with Tollerene, one hand finished the tournament fashion. On the final hand, the players went to the river on a 9♦ T♦ 7♠ J♦ 6♠ board. Tollerene shoved with 8♥ 7♥ for a straight, and was called by Latorre’s pocket nines, good only for a set. That made Tollerene the champion, winning more than $616,000. Latorre settled for a runner-up finish, though because of the deal, he took home the third-largest prize ($560,412.13). This is hardly the first time Tollerene has shown his capacity to win major online tournaments. The Canadian had previous won the $21,000 buy-in Heads-Up High Roller during the 2013 Spring Championship of Online Poker, winning $200,401 in the process. good show Ben Tollerene ! wish I could play those stakes .